Add code at checkout for reduction. > Made of Non-toxic recyclable ABS plastic and electric components: Bring your kids a funny and safety gaming experience. 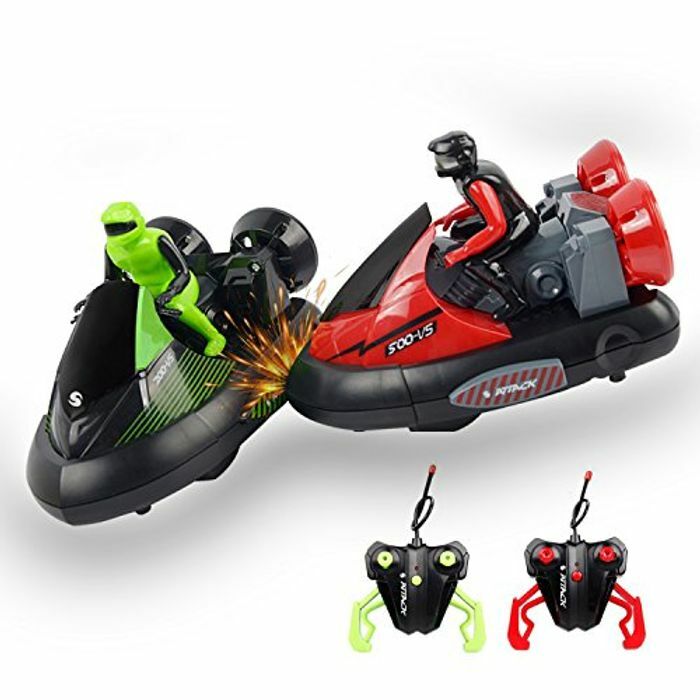 > User Friendly - Easy automatic control racing bumper car game toy set, suitable for most of kids with Aged 6 years+ or above. > Funny Racing Way: Built-in ejectable driver which will off his seat when bumper is hit. > Multi-effect Game: Ideal accessory for adults or kids Daily Entertainment, Parent-Child Interaction, Kid's Color recognition & Coordination Capacity & Children's Education Puzzle Training, etc. > More Durable & Inconvenience: It comes with rechargeable battery for car in the pack so you do not need to buy additional batteries. > This great gift idea is superb fun for all the family! Hi, I've just moved this over to the deals section because it is a discount code for a single item.